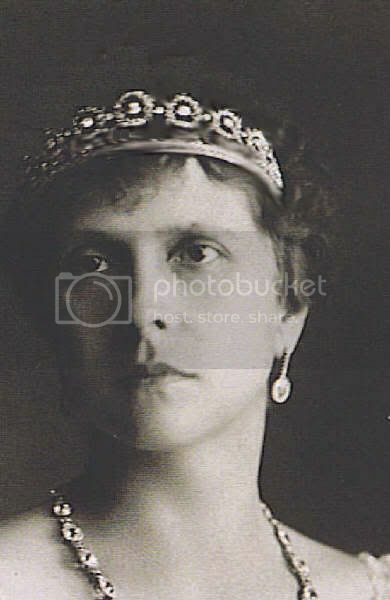 Yes but the emeralds that made up the tiara came from Queen Olga's collection. King George inheited them from his grandmother when the old Queen died, so Sophie cannot prevent Elisabtha from getting them. She then have the emeralds redone in her own style--the "E". 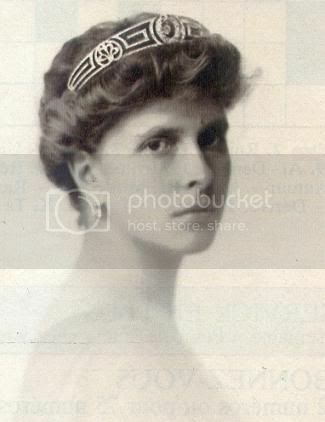 What about the big tiara who was the wedding present to Sophie of Prussia ? 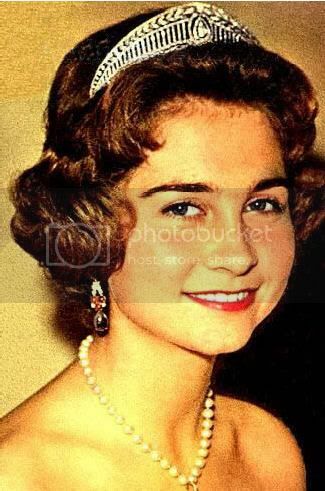 Yes and also a favourite of Queen Frederica. 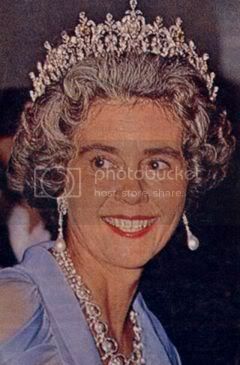 After Frederica died, the tiara was not seen again. 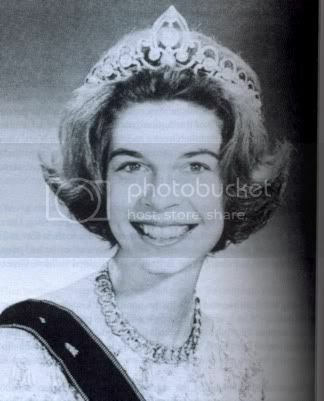 Queen Anne Marie was never seen with it. 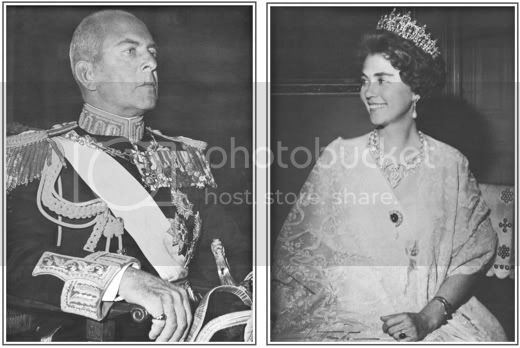 She also purchased a tiara of Miechen's composed of 5 large sapphires (QM had the central one replaced with an even larger one). 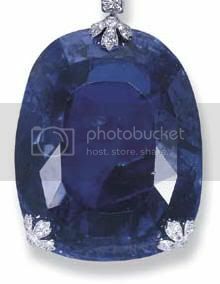 As for the famous sautoir (and that sapphire WAS 478 carats--unbelievable!) it was left to King Michael who eventually had to sell it in exile. 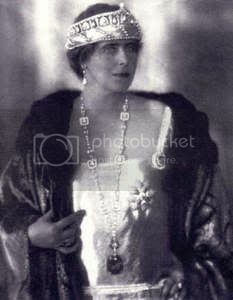 She had purchased the long diamond sautoir with the huge sapphire for 3,375,000 francs (in 1920s money! ). A purchase this large had to be cleared with KF and her made arrangements to pay for the sapphire in 4 annuities, the last being in 1924. I actually held that Sapphire in my hand in Hong Kong when the auction house displayed it with other jewels. Quite heavy I must say ! Now...The new Crown Princess wears it nicely as well.